The past couple of weeks have been some what of a blur but every single minute of the blurry haze has been thoroughly enjoyed - that's for sure!!!! It truly makes my heart sing to see spark in the eye of a new-be crocheter - and let me tell you now, these girls eyes sure were a SPARKLING!!!! 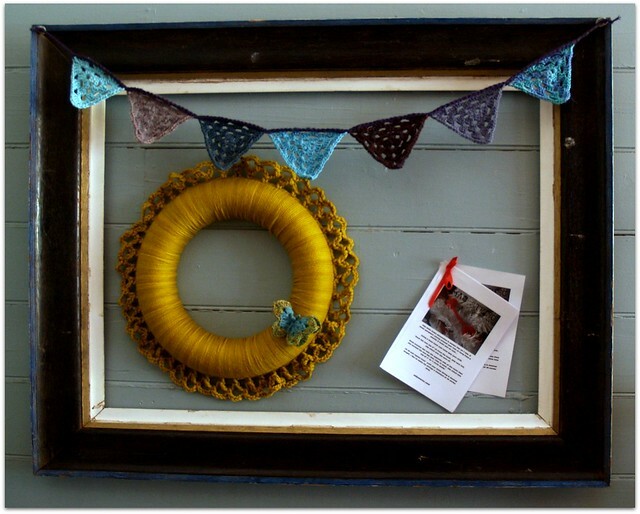 Then I made another one of Lisa's Super Simple Wreaths. I am totally in love with the Malabrigo Organic Cotton that I used for this blanket. 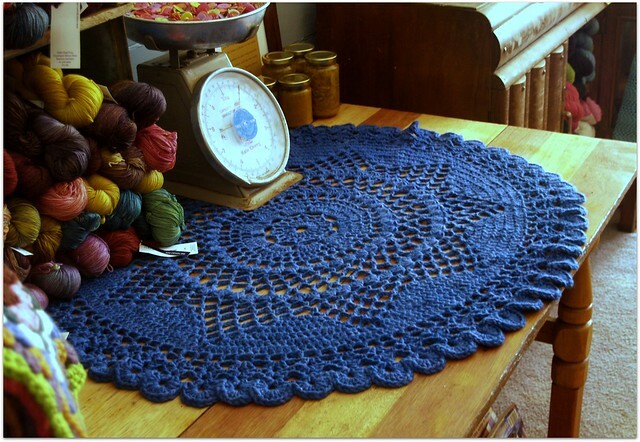 It has made up so beautifully and has transformed this simple blanket into a gorgeous table cloth - don't you think??? What have you been up to these past couple of weeks??? 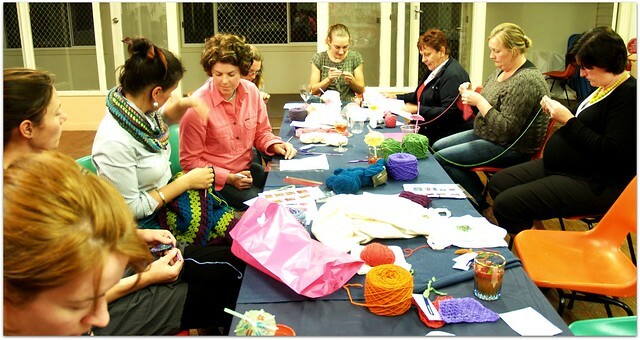 what a gorgeous sight ladies crafting together is! Loving all your wonderful work! those ladies were so blessed to have you join with them. Thanks for sharing the wreath pattern. I just bought a form at goodwill for fifty cents today and was looking for a tutorial. Pleasant surprise you posting a link to one today. Thanks! Hi Jodie. Looks like you have been up to some fun stuff. 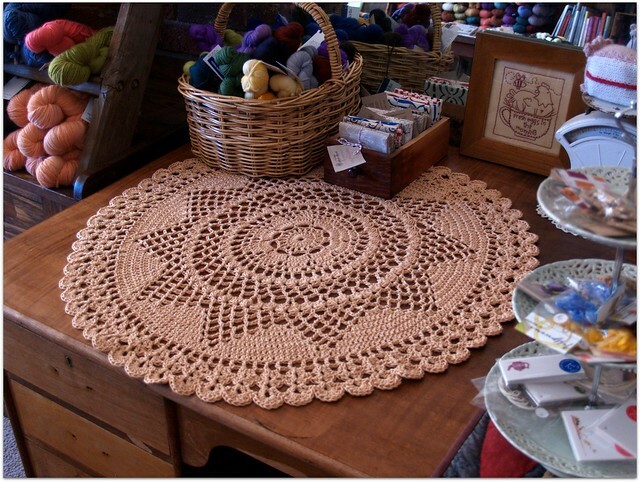 Love the doilies. Been making baby toys here for our first grand baby due in March. Just made a cute little frog and can't wait to post a pic of that soon. Jodie...bear with me, I sent that first comment without signing who it was from, thought I had lost it and so quickly did another, only to find I had sent the first and....what a simpleton you must think this gal is...well, it has been a long day here in Ohio.. Your blankets are just beautiful! The pattern can get addicting, hm? I agree. I made 7 in a two months' span! Loving your Willows Jodie! I have made one out of Bamboo/cotton, my neighbour made the one out of the Sierra, my horse buddy made one out of the organic cotton and I am hoping you have some more Cotton Rich (7356 342108) x 3 to finish the other one. Somehow and none of us can figure out how I managed to get 12 petals in my Cotton Rich one so I need more yarn. It looks great and is just a tiny bit bigger than the others. They look amazing on the table! Wow your wreath looks fantastic! What did you use for the ring? I LOVE it bigger....will have to make one of those now too :-) You are certainly keeping busy and your classes look like a lot of fun. Jodie what did you use as a ring for your wreath? It looks awesome!